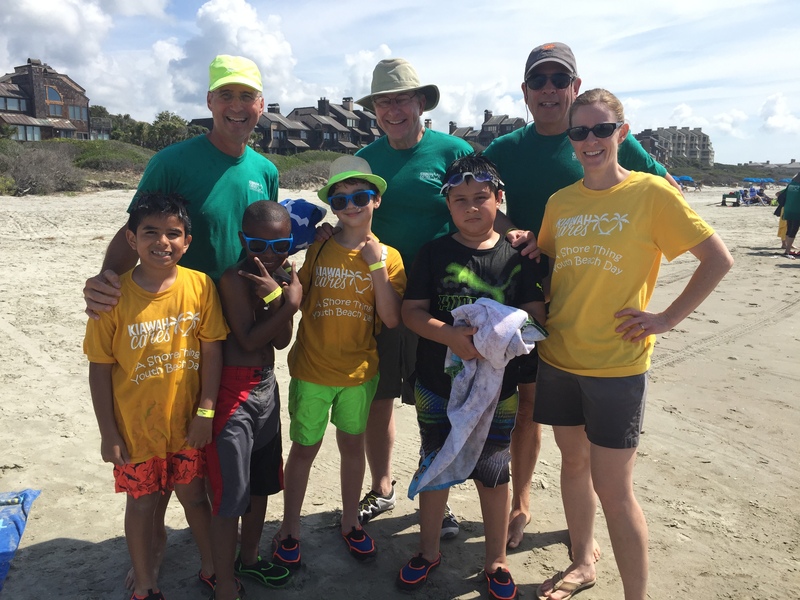 Volunteers with Kiawah Cares support local youth. Volunteers are givers. They give their most precious possessions (time, energy and love) in the hope that these contributions will make a difference in their communities. We’ve seen time and time again that volunteer involvement can make big changes in our growing community. Volunteers are at the heart of everything Kiawah Cares does. Formed in 2011, the outreach began as a way to facilitate volunteerism among the many property owners who desired to give their time and skills. As the program grew, a foundation formed, combining the resources of our generous property owners in support of their neighbors. Today, both the Kiawah Cares outreach and the Kiawah Cares Foundation work with partner organizations in neighboring communities to touch more lives than ever. In honor of National Volunteer Month in April and Kiawah Cares’ birthday, Kiawah Cares is hosting a Volunteer Celebration and Fair at Beachwalker Center (23 Beachwalker Drive, Kiawah Island) on Tuesday, April 10 from 3-5 p.m. Volunteers and prospective volunteers from Kiawah, Seabrook and our neighboring communities on Johns and Wadmalaw islands are invited to attend. Partner organizations, including representatives from local schools and nonprofits, will be there to discuss their work and opportunities around the Sea Islands. Mingle with friends, neighbors and our island partners, and celebrate giving back in the community. Enjoy wine and hors d’oeuvres and win door prizes as we pay tribute to all we’ve accomplished together. To attend this event, RSVP by April 3 at CelebrateIslandVolunteers.app. rsvpify.com/. All volunteers and prospective volunteers from Kiawah, Seabrook and the Sea Islands are welcome!